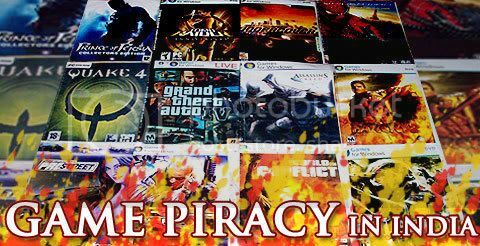 Game Piracy in India… Let’s know, how it works? Piracy of Game CD’s exist everywhere, in almost all the country. Game Piracy refers to several practices which involve the unauthorized copying of computer games. Lets figure out how approximately it works in India, specially in Metro city like Mumbai. Its very easy to get the Pirated Copy of latest PC Games on the streets of Mumbai. Check out any Mumbai’s Railway station, or Shopping Mall, or at any corner of the streets. You’ll find it everywhere. Even the Authorized Shoppers keeps the pirated copies of PC Games. One of my friend (hiding the identity) in Mumbai, who use to work with such guys who sells the pirated cd’s around CST station, Mumbai disclosed the process. Game Piracy is a huge market with more and more people involved. These people worked according to the zone they’ve been allocated. Either they buy Original Games from the store or download the games from Peer-to-Peer network or Internet, and make their millions of copies on a low cost DVD’s. They distribute it among all the pirated CD retailers across Mumbai with their recognizable sign (It means CD bought from Shop 1 cannot be replacable with the Shop 2). These Shopkeepers can easily makeout whether the CD’s sold by them or someone else. A single Pirated Game DVD of latest games like FAR CRY 2 will cost you Rs.40/- (Less than a dollar). And you’ll also get discount offered if you purchased more titles at a time. Although the number of these sellers has been decreased since Mumbai Cops raided most of them, but you can still find them rounding up at such locations. But the question remains same, Is there a way to stop this Piracy Industry?